Steve Martin once said of success, “Be so good they can’t ignore you.” I would say that sound engineers have been following Steve Martin’s advice forever. They train, go to seminars, and attend workshops. They pursue professional growth and industry improvement. All things that make them good. They are also very humble and tend not to ask for work. They silently solve hundreds of problems a day without anyone noticing. They expect to be discovered and picked up on the basis of their skill. To be so good, they can’t be ignored. When I interviewed Steve Brown, he told me that he only ever expected to be judged by his last job. I wish that mastering our craft was the only thing we had to worry about, but from talking to a lot of sound engineers over the years I know that it’s not. You might be amazing, but if nobody knows then you’re still a starving artist. What are some ways to be amazing AND seen? After interviewing 50 people for the Sound Design Live podcast, I’ve heard a lot of different answers to this question (and I hope you’ll post yours in the comments below). But which is the right one? Is there a way to know? In the world of my dreams, I hired Malcolm Gladwell to perform a five-year study and provide me with a definitive answer. In this article, I give you my best guesses. It’s all about who you know. Almost every engineer that I have interviewed knows that being connected formed their career path, but they don’t know why. They can point to the most important referral that changed their lives, but they can’t explain how to recreate it. We all know how important our personal connections are, but most of the time we feel like it’s out of our control. Maybe it is all chance and you just have to walk in the door at the right time, but if that’s true then knowing that “it’s all about who you know” doesn’t empower us. It feels futile. Probably the third most common quality I’ve heard recommended after skills and connections is personality. You have to be able to get along under stress, long hours, and close quarters. And this is also something that I’ve encountered over and over again working in corporate audio. I would much rather work with someone that is humble, helpful, and teachable than anyone who is highly-skilled and unpleasant. I’ve heard people say things like, “I want to hire someone that I can sit next to on a long plane flight.” This is so frustrating because you’re a nice guy and I’m a nice guy, so why wouldn’t you want to work with me? But the truth is that personality compatibility is hard to predict. Just because we are both nice guys doesn’t mean that we will get along well in the long run. Seeing how important this quality is, I would love for professional sites like LinkedIn to start functioning more like OK Cupid and other dating sites that have invested heavily in the science of compatibility. Until then, do your best to cultivate qualities like patience and compassion, and maybe learn a few jokes. This is the fuel for being connected, and the intersection between being connected and being friendly. It’s important to be a good sound engineer and have a strong personal network, but even more important is having something so unique and valuable about you or your service that it causes someone to remark about it to someone else. So tell me: what is it that will make an artist or production manager mention your name to a colleague who might hire you? This can be a tough one, because we work backstage. Even if you showed up naked there’s a chance they might not notice. (And for the record, that’s a great stunt but not actually very useful.) The most common tip that I’ve heard is to connect your name celebrities and artists. Would you give this article more credibility if you knew that I have a BFA in Music, or that I have worked with John McLaughlin? When I asked Ken “Pooch” Van Druten about what makes him remarkable he said, “I think my taste is just right down the middle, so the way I mix is generally liked by most of the audience.” That is probably true, but I can almost guarantee that you’re more likely to call him because he works with Linkin Park. It’s always a little bit of a letdown to ask a successful sound engineer how they got to where they are today. They usually guess at some combination of passion, hard work, luck, and pixie dust, but nobody ever says they got there by design. It’s easy to look back from a successful point in your career and say, simply, “follow your passion”; it’s a lot harder to give that advice from the most painful and challenging points of your career. That’s why I’m so fascinated with people like Dave Swallow and Ken “Pooch” Van Druten, who were able to push through those obstacles and follow their passion even when things were hard. There is a quality of attitude and a level of skill that they posses, whether they know it or not, that have made them successful. 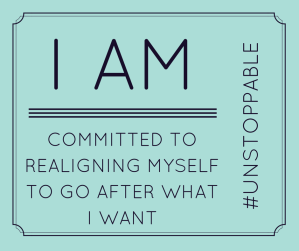 One of the most important qualities you need to be successful in pro audio is to be unstoppable. What does that mean, exactly? Should we be rude, pushy, and inappropriate to get what we want? Or should be be committed, but unattached? 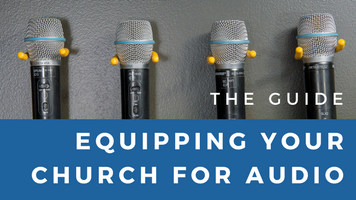 Building a career in audio is challenging because it’s not a centuries-old trade with a proven career path. It requires daily, creative action to achieve your goals. Stoppable: I applied for a job. They didn’t call me so I gave up. UNSTOPPABLE: I applied for a job. They didn’t call me so I applied for another job, connected with two people at the company, sent my resume and show reel to two colleagues for feedback, and made a date with a friend who has had the same job before to ask them how they landed it. Being the best, connected, friendly, remarkable, or unstoppable won’t get you a job. Any one of these qualities won’t grow your career on your its own. * The most important thing for a successful career in audio is to be on top of all of them. Remember: The way we deliver service is only a part of the business. People who ignore business are doomed to be controlled by it. *Though if I had to bet on just one, I would bet on unstoppable. Nathan Lively is a sound engineer and pro audio career coach. 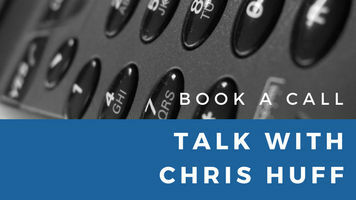 To learn more about how to leverage your unique and valuable skills for a successful career in audio, sign up for a free 45-min one-on-one exploratory session here – Success in Sound. 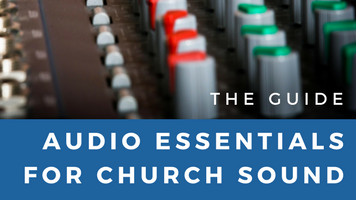 Did you miss the first part of this two-part series on what it takes to be a successful audio engineer (within the walls of the church and outside them)? Check it out here. Read Part 1 – Within the Church Walls. 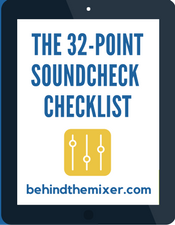 Run a massively more productive soundcheck with happier musicians, more time to mix, and no more stressing out over what to do next. ​Plus, get the mini-course on how to ​use it! You're moments from getting your FREE checklist. 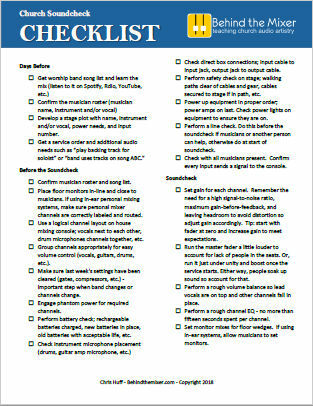 I love these tips for becoming a better sound engineer. Networking should never be underestimated. It is all about who you know in the industry. Plus, a great attitude will open up many more opportunities. That being said, I would love to add the fact that all sound engineers should become well-versed in all styles of music. Of course, you will have your favorites. And you will have those styles you work best with. 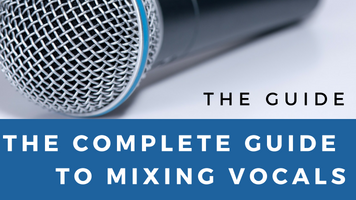 However, versatility is an underutilized tool in the competitive music business and should be taken seriously. Good one Kim! I remember a seminar I went to with the incredible bass player Michael Manring who suggested that we spend some time with music that we didn’t like and try to figure out why other people liked it. 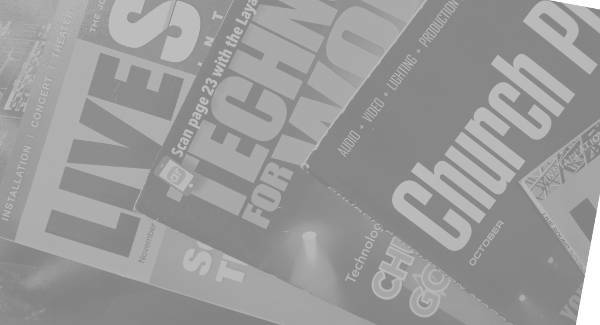 For me, being a house sound engineer was the best experience I had in terms of exposing me to all kinds of music that I would otherwise never have worked with. I like, and agree mostly, with the points you raise in this article. There IS a small adjustment to the one about “it’s about who you know…”. When I was working for/with the legendary ‘Godfather of Theatre Sound’, Abe Jacob, he taught me many lessons, but one stood out relative to this article. That was…”It is NOT who you know, but rather, who knows YOU!” The thinking here is that I may know and have contact information for hundreds of designers, clients, engineers, producers, etc., and be able to get in touch with them, or ‘shop the client’, which is a full time job in itself. The true value in connections is when THEY think of ME for an upcoming project, and choose on their own volition to contact me for that gig! Now THAT is the situation where we get to be ‘Livin’ The Dream’, and feel successful in our careers!